It is festival season and that means our social media feeds have been overflowed with Coachella pictures. I love the music and I most definitely love the fashion but being in a huge mosh pit crowd would probably give me huge anxiety. I've seen a lot of people complain about their feeds being intruded with massive Coachella posts but I honestly enjoy seeing the fashion. I love the cool hippie fashion vibes this festival showcases. In the spirit of festival season today's look is a festival inspired look. I never got a chance to wear this dress last summer when I ordered it because my pregnant belly was growing fast. I love the open slits and works perfect for the festival vibes I was going for. 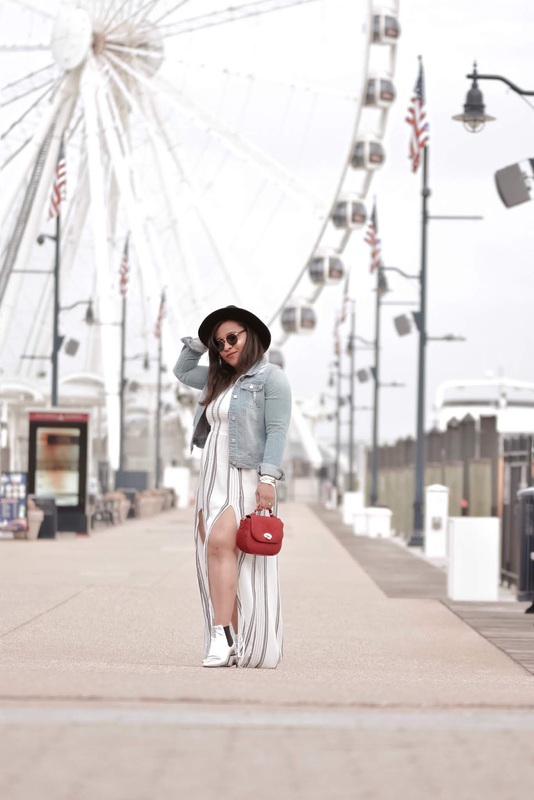 Coachella style looks are all about accessories and the round frame sunglasses, wide brim hat, extra bangles and necklaces compliment the look perfectly. Honestly the more accessories the better. Fashion to me is art and I love experimenting with different styles and looks. Are you guys into Coachella or just like to see the fashion like me?